Through our Green home Housing Program, home buyers purchasing a sustainable home or making energy and water saving renovations are now eligible for significant mortgage insurance premium savings and other benefits. With unprecedented levels of volatility in global energy markets and an upward trend in a greener lifestyle, more and more homeowners are exploring ways to use energy and water more conservatively with eco-friendly homes. Whether you are interested in slashing energy and water bills or are simply motivated by a greener planet, there are policy and financing initiatives available to help you achieve those goals. TIP: check out this short guide called Homeowner’s Guide to Energy Efficiency produced by National Resources Canada and the Canadian Real Estate Association. Depending on your situation and requirements, flexible mortgage financing is available in a single advance or via progress advances. To learn more about mortgage financing programs for home renovations, click here. To be be pre-approved for a Green Home Mortgage, please click here. There are plenty of local and regional energy efficient rebates and incentives; however, Canada lags far behind some countries on a national level. That being said, there is a good amount of pressure on our governments at all levels to expand green incentive programs and the list is ever evolving. Check out the following links to determine whether you qualify for any rebates or incentives in your region and to learn more about energy efficiency. Don't forget to check your municipal website also. Benefit the Planet, Save Your Money! If you are interested in learning more about sustainable living and what projects make sense, there is a new category of specialty adviser emerging which we call a Sustainable Living Consultant that may be able to help. In Canada, there are a number of "green home" and "energy-efficient" home building standards. A resource list of these programs is included below. The goal of these building standards is to provide best-in-class energy-efficient new home construction that include high levels of insulation, clean air features and measures to help protect the environment. 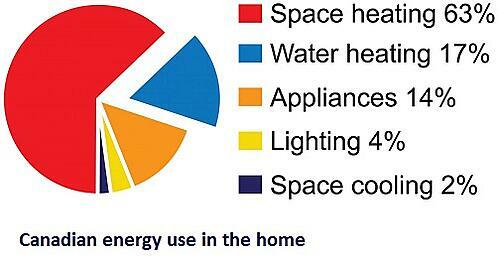 This translates into energy savings, increased comfort, and a healthier environment for the homeowner. Tip: Check out this Homeowner’s Guide to Energy Efficiency (click here) published by Natural Resources Canada and the Canadian Real Estate Association. Get in touch with us and find out how value-added refinancing could be the answer to sustainably retrofit your home without putting up big bucks upfront. Refinancing with improvements means that you can remortgage your property at it's current market value plus the value added through improvements. In the long term, smart investments in energy efficiency can turn a big profit. Learn more about financing home renovations. If you are looking to purhase a new green home, we'd be happy to show you the way.